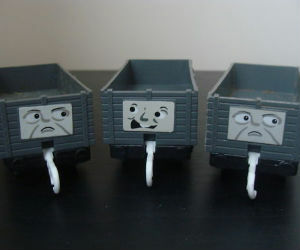 No Thomas collection is complete without some Troublesome Trucks. These toys are called mixed goods wagons, and can be used all over the island to work. So what’s so special about these characters? Well they enjoy causing trouble typically at the coal mines and quarries on Sodor. Troublesome truck coloring pages are free to download and enjoy coloring.